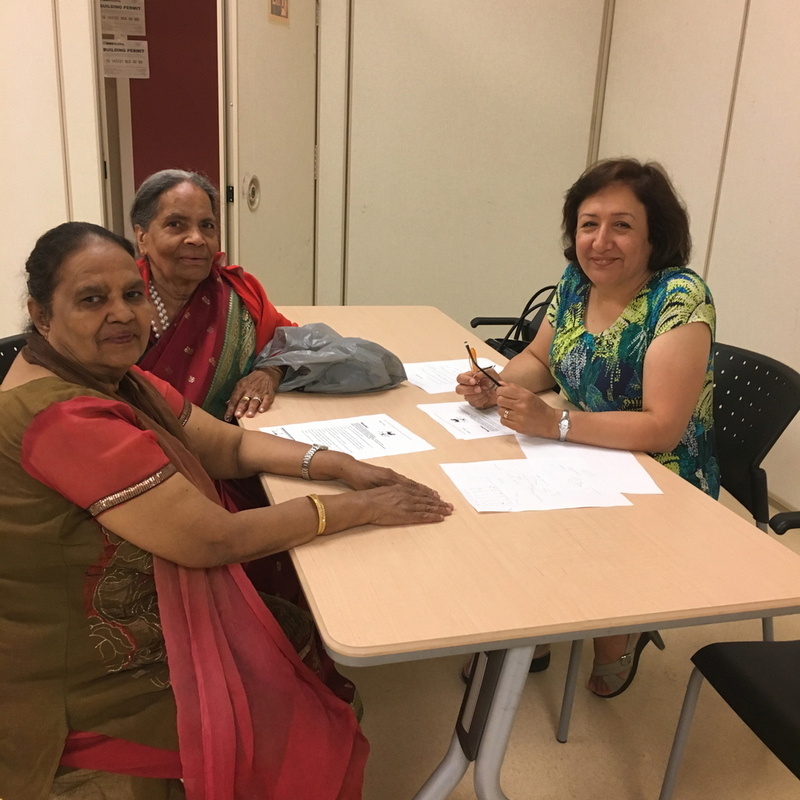 Building on the success of its first year, the Newcomer Connections for Senior Caregivers (NCSC) project continues to connect volunteers to isolated, newcomer senior caregivers. The volunteers have been a mixture of newcomers to Canada, recent university graduates from health- or social services-related programs, and seniors who were caregivers themselves. This diversity, along with the diversity of our volunteers' spoken languages and cultures, has allowed us to create balanced programs that effectively respond to the needs of caregivers. Volunteering is a rewarding experience, with the reward depending on the volunteer’s objective. All of our volunteers receive a comprehensive training that provides information on the issues faced by caregivers (aged 55+) and the impact of their role. As the number of seniors in Canada continues to rise, and with it the number of caregivers, being aware of this larger context has allowed our volunteers to realize the importance of their role within the program, as well as outside of it. Feda is one volunteer who took this experience to the next level. Feda’s interest in working with seniors grew after being matched one-on-one with an isolated caregiver in the NCSC Friendly Visiting Program. She was able to connect her caregiver partner to information and resources, helped her improve her English skills, and created a safe environment for the caregiver to open up about her struggles as a newcomer and a caregiver. This knowledge gave Feda a good start in her new role working in a seniors' home. “It provided me with a good start to my career, where I developed great experience interacting with seniors”, Feda shared. Other volunteers shared their joy at seeing how enthusiastic older caregivers were about improving their knowledge and skills. “This is an impetus for the volunteer mentor to also support them with computer learning”, shared Minakshi Das, one of our NCSC volunteers. Minakshi has worked one-on-one with an isolated caregiver, and is now matched with a couple to provide computer instruction, which is one of her passions and one of the couple’s goals. With 8 million caregivers in Canada, the majority providing care to a close family member (carerscanada.ca), we depend on our volunteers to help connect them (and their care-recipient) to information and available services. We have also been happy to see the benefit for both partners, with the caregivers finding companionship and links to resources which they weren’t previously aware, and the volunteers learning new information themselves and enhancing their transferable skills. We look forward to working with more amazing volunteers who enhance the value of the program, and contribute to making the lives of senior caregivers better. To volunteer, please contact Besma Soltan, Training Coordinator for NCSC, at bsoltan@nych.ca or 647-459-0547. If you are a caregiver or know of one, please contact Shova Adhikhari, NCSC Outreach Coordinator, at sadhikari@nych.ca or 647-208-9733. Over the past six months, Helen and Filippo have connected through North York Community House’s Newcomer Connections for Senior Caregivers program (NCSC). Part of the ENRICHES.ca collaborative, this Friendly Visiting mentorship program was created to match isolated caregivers (55 years and older) with volunteers who offer their support and a connection to the community. Filippo is a caregiver to a close relative and Helen is a Volunteer Mentor, and together, they are one of the many successful matches taking part in the NCSC program. On a weekly basis, the two of them connect at a local library and over the phone. Filippo and Helen are respectful of one another and this openness has allowed for a friendly exchange and a successful mentoring relationship. They have exchanged stories and experiences, and as a result, have built trust and mutual respect. Helen expressed that their constant communication and updates over the past six months is one positive aspect of their match. Filippo shared similar thoughts and is grateful for Helen’s support, availability and friendship. He gained a new source of support this year with the NCSC program. Out of this experience, Filippo has been able to practice speaking English and has become more comfortable speaking to others. He has also been connected to a variety of community supports including healthcare and other resources. He shared, “(Helen) even accompanied me to an appointment which was a great help”. Filippo’s kindness and friendliness has been appreciated by Helen and all of us at NYCH. Please contact Shova for more information on our Friendly Visiting program, social programs, and educational workshops for older adults: sadhikari@nych.ca or 647-208-9733.